It is the 1880’s, and Chicago rises like a phoenix from the ashes of the Great Fire. Rail is king in this city on the grow. As a power broker, your pockets are lined by the train companies competing to build the new elevated rail system, “The Loop.” In this game, players work together to build the loop while hiding which line they work for, because everyone is scheming for a big piece of this corruption pie. In the Loop is a 2-5 player game of puzzle building, tactical planning, and secret motives. 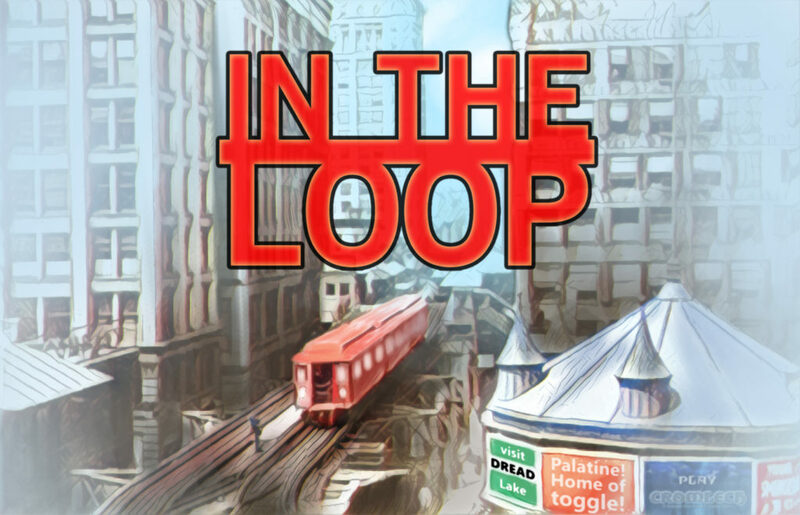 Learn more about the story of In The Loop and get a brief intro to the game. Check out our short how-to-play videos or download the rulebook. Download our print-and-play version, or pre-order the game.